Adapt It Mobile is a simple related language translation editor designed for mobile devices. 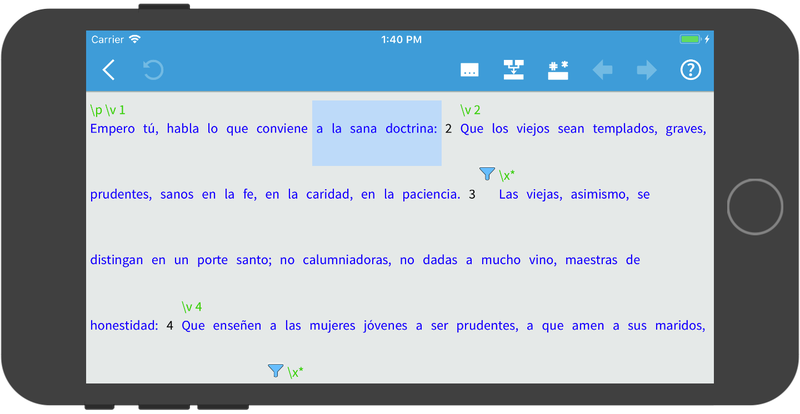 Using a tablet or smartphone, you can use Adapt It Mobile to quickly translate text from one language to another related language. This app is a ground-up rewrite of the Adapt It desktop application, written specifically for mobile devices. Copyright © 2019 Adapt It. Powered by WordPress. Theme: Spacious by ThemeGrill.